A few years ago I found myself in a unique position to be able to offer a college course in which the subject was poker. Usually when I tell people about the course they respond in one of two ways — or sometimes both. The course is called Poker in American Film and Culture and I’ve been fortunate to teach it several times now. The class is one of many unique ones offered as part of the American Studies program at the University of North Carolina at Charlotte. As the title suggests, the class uses poker as an avenue through which students can learn about American history, literature, and film. The class also overlaps with other disciplines, too, like sociology, psychology, and even math and philosophy. In other words, I don’t teach my students poker strategy — indeed, I always make a disclaimer early on that anyone taking the class (1) need not have previous poker experience and (2) should not expect to learn how to win at poker from me. However, we do talk about how to play games like draw, stud, and hold’em so they can better follow the hands that come up in the stories we read and the films we watch. As we move through poker’s early history in the United States, we frequently encounter stories of cheating in poker, especially in those 19th century games played on steamboats and saloons. Among our assigned readings is James McManus’s comprehensive history of poker, Cowboys Full: The Story of Poker. 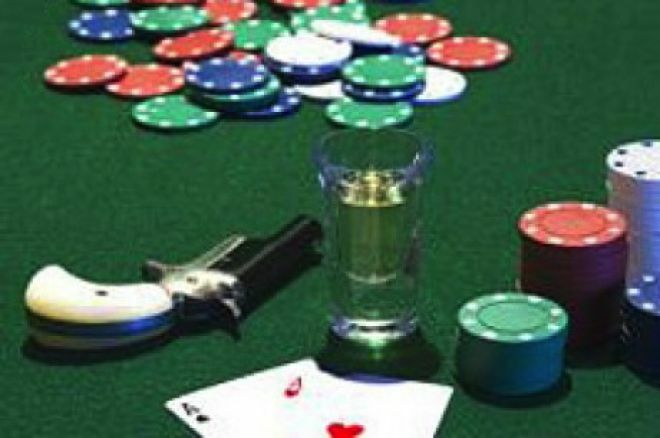 He spends some time early in the book outlining how for much of poker’s early history it was known as “the cheating game” — that is, a game in which in a lot of cases one was more likely to encounter a “card sharp” employing a myriad of strategies that went against the rules in order to cheat players rather than beat them fairly. After reading several stories about cheating — both fictional and true — and watching lots of examples of poker players cheating in films, the question inevitably arises in class... is there still a lot of cheating in poker? I generally reply by saying that when it comes to poker as it is played in licensed casinos and poker rooms today, one is much, much less likely to encounter cheating than was the case back in the Old West... or even 50 years ago, for that matter. That said, the rare exception to this rule will arise now and then, such as exemplified recently at the 2014 Borgata Winter Open where a player, Christian Lusardi, was arrested late last week for having introduced counterfeit chips into a tournament. Click here to read about how the tournament had to be canceled prior to the final day of play following the discovery it had been compromised, and click here to read more about the circumstances of Lusardi’s arrest. As I say, such incidents are rare, but when answering my students’ questions about cheating in poker I will reference them to say that yes, it does happen even today. But I also express to them my agreement with the historical narrative McManus presents in his book that poker has by now become more of a “square game” in which the emphasis is more on strategy and skill than cheating or trying to avoid being cheated. Of course, much of mainstream society hears stories such as the one involving Lusardi and without having much acquaintance with poker as it is currently played conclude that poker is still a “cheating game” best to be avoided. Such a response is dismaying to those of us who love poker and believe it to be a worthwhile pursuit for a variety reasons. But as the comments to articles on mainstream websites reporting the incident at the Borgata attest, such reports readily confirm previously held prejudices against poker and/or gambling. The fact that so many of us have seen all of those poker scenes in movies depicting cheating probably doesn’t help either, insofar as they tend to encourage incorrect ideas about cheating being prevalent in poker today. Here at Learn.PokerNews we hope to promote poker as a game worth learning both as an intellectual challenge and as a highly entertaining way to compete and socialize. And of course the chance to win some money doesn’t hurt, either. It’s a game worth learning, we maintain, just as I maintain in my class that the game’s fascinating story and relevance to American history and culture is worth learning about, too. Although compelling to read about and consider, don’t let a story like the highly unusual one from the Borgata be thought of as representative of poker today. Headphones at the Tables: Help or Hindrance?